Moma class intelligence gathering ship Kildin passed through Istanbul on her way to the Eastern Mediterranean. 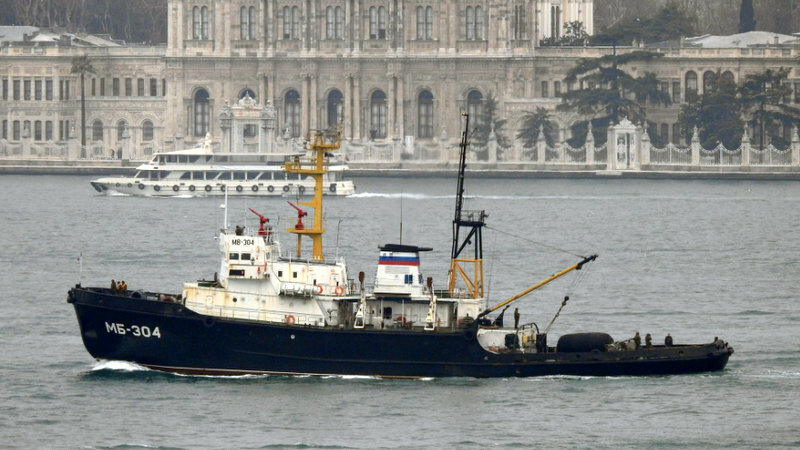 She has replaced Liman that returned to the Black Sea last week. 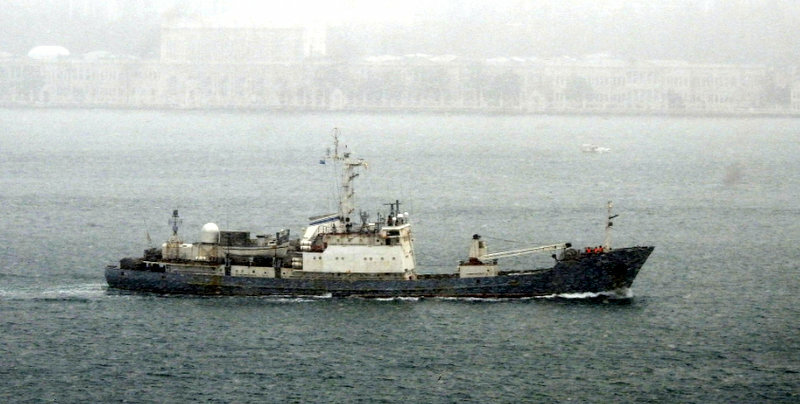 Amur class repair ship PM-56 returned to the Black Sea after being replaced by her sister PM-138. Photo: Yörük Işık. Russian landing ship Tsezar Kunikov silhouetted against old city as she returns from her Syrian deployment. Southbound, Korolev on her 2. Syrian deployment on 2017. Photo: Yörük Işık. 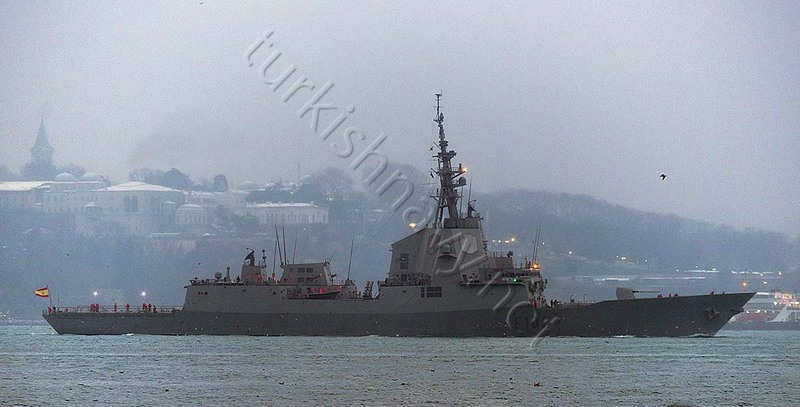 Spanish frigate Almirante Juan de Borbón sailed to the Black Sea after finishing her port visit in Istanbul. She too, is taking part in NATO exercise Sea Shield 2017. 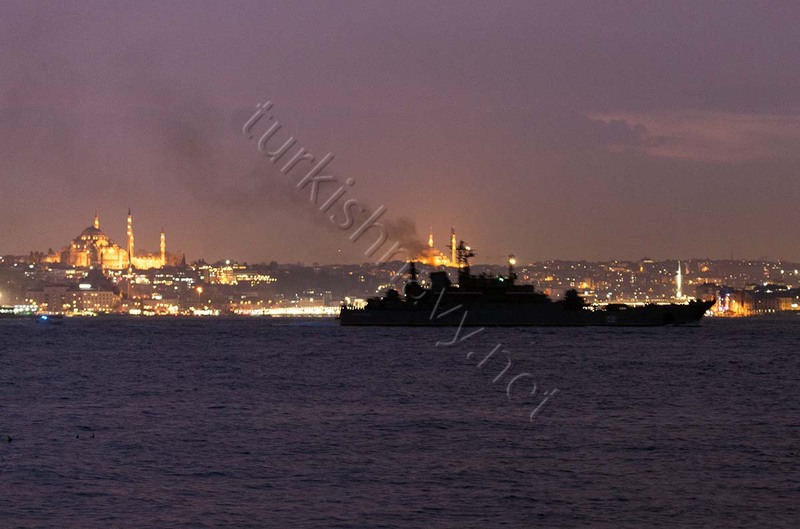 Ropucha class large landing ship Yamal passed through Istanbul on the first Syrian Express deployment of 2017. Photo: Yörük Işık. 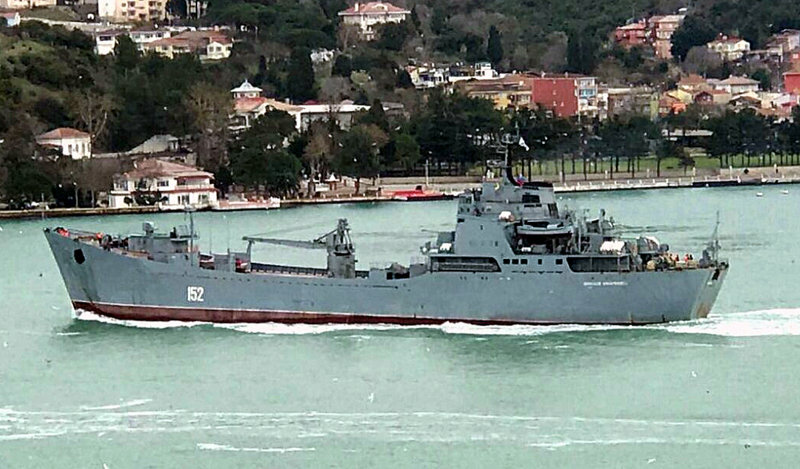 An empty Nikolai Filchenkov returning from her Syrian deployment. Photo: Yörük Işık. The intelligence gathering ship Liman returned after a 3 months deployment in the Mediterranean. Photo: Alper Böler. The next day MB-304 returned alone to the Mediterranean. Photo: Alper Böler. 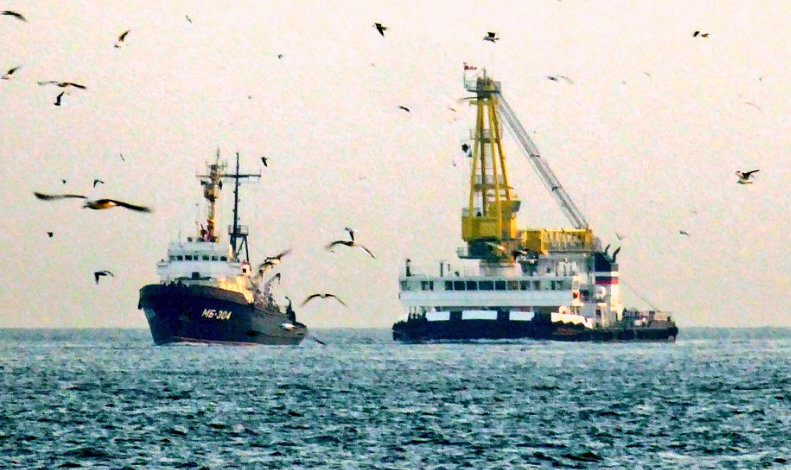 On 23th January MB-304 was observed making a northbound passage through Istanbul towing the floating crane SPK-46150. Photo: Alper Böler.